Published March 26, 2010 at 419 × 548 in Art. This is a painting done with acrylic paint. It depicts the city of Vancouver and its many high-rises at night time. 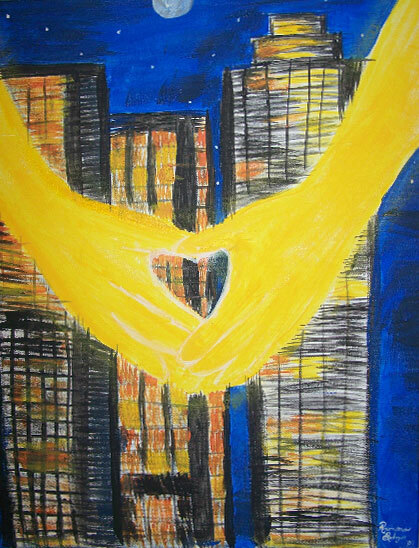 The arms that are embracing the city are representative of God’s arms. If you look closely at the hands, you will see that between the fingers is a heart. This is meant to show God’s heart for the city. God loves all people and desires to bring them to Himself. But He does so lovingly not forcefully.